The World Health Organization (WHO) has created a new Web site to help researchers, doctors and patients obtain reliable information on high-quality clinical trials. Now you can go to one website and search all registers to identify clinical trial research underway around the world! 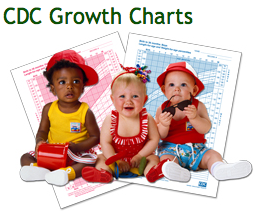 (A) "Young", "Middle", "Old" and "HGPS" viewed as green, yellow, blue and red colored dots. (B) Venn diagram with overlap between "Young", "Middle", "Old" and "HGPS" signaling pathways. 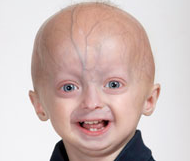 In new research, scientists have shown that Progeria or Hutchinson-Gilford Progeria Syndrome (HGPS), is a disease comparable to normal aging. The study used microarray analysis of gene expression (which determines which genes are active) in fibroblast cells from two populations, normal individuals (young and aging) and HGPS patients. Scientists from Vision Genomics and Howard University used a newly-developed tool named 'GeroScopeTM' to conduct cell pathway analysis and drug discovery. 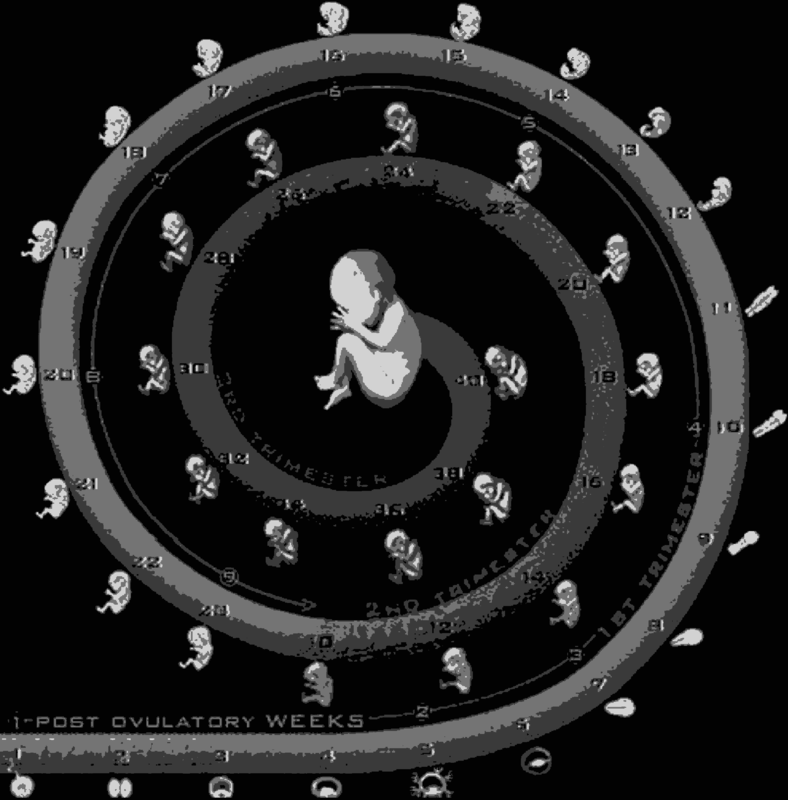 HGPS is typically caused by a	de novo mutation. This means a gene mutation found for the first time in a single family member. In HGPS the mutation happened in an egg or sperm (germ cells), and leads to a substitution in the Lamin A gene. When the mutated Lamin A gene activates, it produces a truncated protein known as 'Progerin.' An excessive amount of Progerin is toxic to cells, causing DNA damage and instability in the genome. As normal lamins relay intracellular signals into the nucleus and interact with chromatin (macromolecules within a cell made up of DNA, protein and RNA), Progerin has serious repercusions on cell signaling pathways. The work was published in Aging an Open-Access Journal. Using a newly developed tool, GeroScopeTM, a team of scientists at Howard University analyzed and compared datasets from senescent cell lines to cohorts of normally-aging individuals as well as individuals with HGPS. Analysis of 65 major cell signaling pathways revealed that fibroblast cells from young HGPS patients, strongly resemble those taken from normal middle-aged and older adults. "What we commonly refer to as aging is a macroscopic effect rather than a cause. For example shortening of telomeres can be a cause of aging, damage to mitochondria can be a cause of aging, aneuploidy— [an abnormal number of chromosomes in a cell] — can be a cause of aging, stem cell depletion can be a cause of aging, and so forth. "All of these microscopic cell pathologies and more, can be causes to normal aging. What we call aging is the consequence, or effect of these incidents. In Progeria, the Progerin accumulation is dramatically increased, but our results show that Progeria nevertheless represents aging in cellular senescence and thus the entire organism." Dr. Antonei Benjamin Csoka, assistant Professor at Howard University and CEO of Vision Genomics. GeroScopeTM analyzes gene expression data from multiple platforms to precisely define which are the altered features of intracellular regulation. The results are listed as Pathway Activation Strengths (PAS), where positive and negative PAS values indicate up- and down-regulation [increases and decreases] in pathways. Alex Aliper, study co-leader: "We divided our analysis into two phases: Phase 1 analyzed pathway changes representing in- vitro cellular senescence, finding an increase in cellular pathway activation with increasing number of passages [subculturing cells in a laboratory in order to expand a colony]. We call this the "Pathway Activation Drift". In Phase 2, we analyzed pathway changes between different age groups (chronological aging) as well as in Progeria patients. We found signaling pathway activation in chronologically young patients with Progeria strikingly resembled normal middle-aged and older adults rather than normal young individuals." From the Phase 2 analysis, the team concluded that HGPS actually represents accelerated aging rather than a mere representation of aging. Also, HGPS, Middle-age and Old-age groups share 13 similarly activated signaling pathways. Specifically, AR, IGF1R, HGF, HIF1A, IP3, PAK, SMAD, TNF and TGF-beta main pathways are increased (up-regulated), whereas the mitochondrial apoptosis pathway is decreased (down-regulated). This demonstrates that the process of aging and the HGPS accelerated aging syndrome are regulated through similar signaling pathways. Some of the significantly altered pathways that reveal similarity between Progeria and normal aging are the Caspase cascade, Growth Hormone, MAPK main pathway, and Transcription main pathway. Some of these altered pathways have a major effect on DNA repair and organization of the chromatin within a cell. All suggest potential targets for a drug or drug combinations to address HGPS as well as typical aging. The bigger message behind these results is that cellular aging is a precondition for anatomical aging. From this initial study, the team next plans to study Werner's Syndrome (WS), Bloom syndrome (BS) and xeroderma pigmentosum (XP) in order to identify common shared patterns of PAS aging. For the past several decades, research in understanding the molecular basis of human aging has progressed significantly with the analysis of premature aging syndromes. Progerin, an altered form of lamin A, has been identified as the cause of premature aging in Hutchinson-Gilford Progeria Syndrome (HGPS), and may be a contributing causative factor in normal aging. However, the question of whether HGPS actually recapitulates the normal aging process at the cellular and organismal level, or simply mimics the aging phenotype is widely debated. In the present study we analyzed publicly available microarray datasets for fibroblasts undergoing cellular aging in culture, as well as fibroblasts derived from young, middle-age, and old-age individuals, and patients with HGPS. Using GeroScope pathway analysis and drug discovery platform we analyzed the activation states of 65 major cellular signaling pathways. Our analysis reveals that signaling pathway activation states in cells derived from chronologically young patients with HGPS strongly resemble cells taken from normal middle-aged and old individuals. This clearly indicates that HGPS may truly represent accelerated aging, rather than being just a simulacrum. Our data also points to potential pathways that could be targeted to develop drugs and drug combinations for both HGPS and normal aging. This press release, along with information on the Insilico Medicine, Inc. and Vision Genomics, LLC. websites, contain forward-looking statements that involve substantial risks and uncertainties. Such statements include statements relating to the expected benefits and advantages of AMD MedicineTM for age-related macular degeneration and aging research. These statements also include statements regarding the companies' strategies and future plans, prospects and results. The words "hopes," "potential" "believe," "expect," "intend," "may," "plan," and other similar expressions should be identified as forward-looking statements, although all forward-looking statements are not limited to these words. The companies are not involved in publicly updating or revising their forward-looking statements in accordance to new information, future events, or otherwise.